Craig Robinson took a first in Mathematics at Oxford University in 1985. He then joined Price Waterhouse and qualified as a Chartered Accountant in 1988, after which he worked as a lecturer in the private sector, and also in The City of London, primarily in financial sector regulation roles. Craig met Dr. Sarah Myhill in 2001 as a patient for the treatment of his CFS, and since then he has worked with her on a number of projects, contributing his knowledge of chronic illness and expertise as a writer. Dr Sarah Myhill has been helping sufferers from debilitating chronic conditions for over 30 years with an approach that combines all the benefits of current scientific knowledge and medical testing and treatments with an expanding appreciation of the importance of nutrition and lifestyle. Her book with Craig Robinson, Prevent and Cure Diabetes, saw her arrive at the conclusion that the diet we should all be eating is one that combines Paleo principles (eating pre-agricultural, seasonal foods) with Ketogenic ones (fuel the body with fats and fibre, not with carbs). 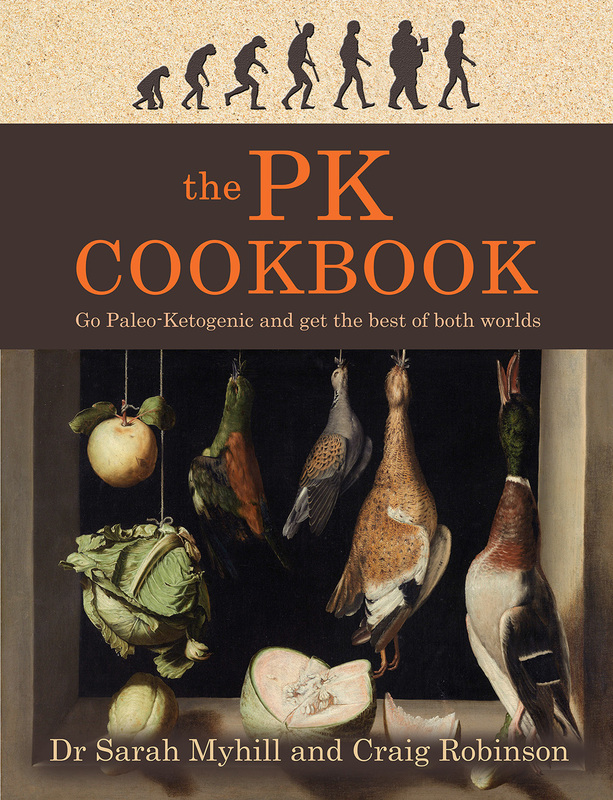 That book tells us why; now in this down-to-earth, highly practical dietary guide, Sarah and Craig tell us how. This accessible shopping template, meal planner, and preparation guide handily demystifies the PK diet. It’s not a collection of detailed, step-by-step recipes, but a revolutionarily simple approach to dietary health.